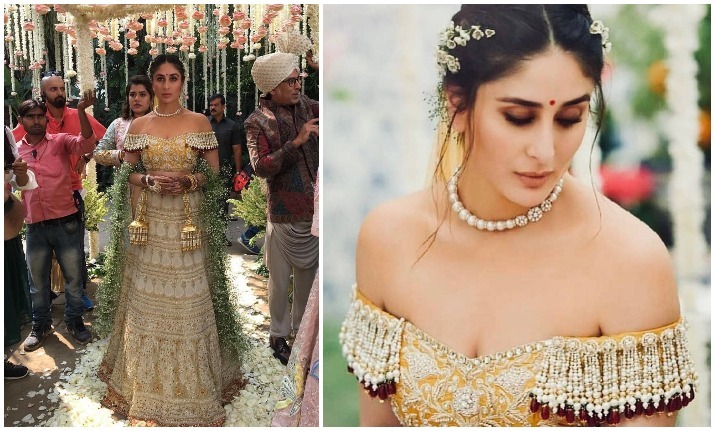 Kareena Kapoor Khan's onscreen bridal look from Veere Di Wedding is winning hearts on social media! 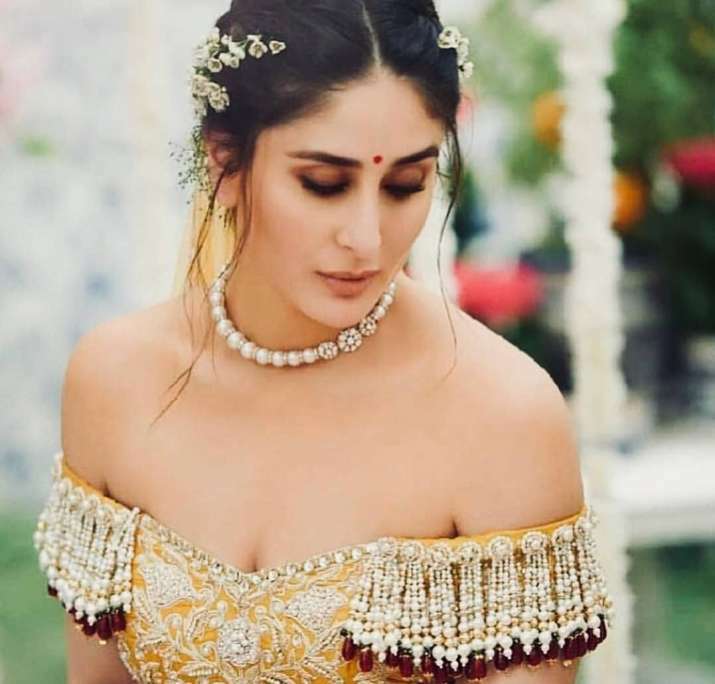 Kareena Kapoor Khan’s onscreen bridal look from Veere Di Wedding is winning hearts on social media! Kareena Kapoor Khan made her comeback in Bollywood after a sabbatical with Veere Di Wedding. The film directed by Shashanka Ghosh and co-starred by Sonam Kapoor, Swara Bhaskar and Shikha Talsania released in theatres this Friday. Soon after the release, Kareena Kapoor Khan aka Kalindi Puri’s on-screen wedding videos and pictures are going viral on the internet for all the right reasons. The gorgeous actress is seen wearing an Abu Jani Sandeep Khosla bridal ensemble. The designer duo shared a behind the scene video on their Instagram profile and ever since then, Kareena Kapoor Khan’s bridal look from Veere Di Wedding has become the talk of the town. Behind-the-scene picture from Veere Di Wedding. Kareena Kapoor Khan appeared in a movie for the first time after giving birth to Taimur. In the promotional events for Veere Di Wedding, the actress was seen flaunting her post-pregnancy body, which washboard-abs gorgeous enough to make any girl go green with envy. Interestingly, the designer duo Abu Jani and Sandeep Khosla have also made their comeback in Bollywood after 16 years. Previously, their costumes have won them accolades like prestigious National Award for Shah Rukh Khan’s Devdas. Abu Jani Sandeep Khosla’s Veere Di Wedding clothing line is now available in their stores starting from June 1. Talking about the beautiful and flamboyant Kalindi Puri aka Bollywood actress Kareena Kapoor Khan, the actress is surely a fitness inspiration for all the new mommies out there. With the release of her latest film Veere Di Wedding, people can’t stop talking about her washboard abs and amazing transformation. 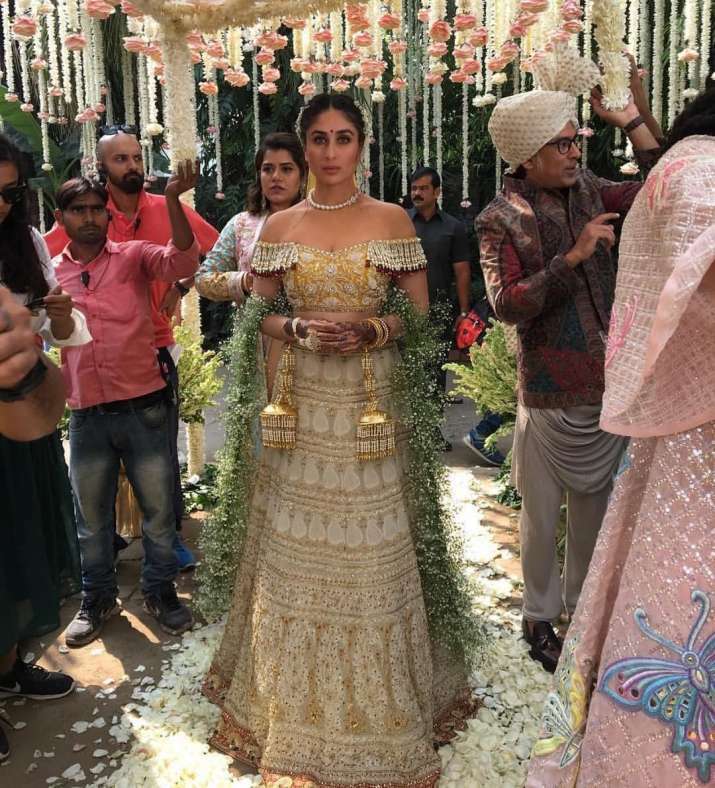 Going by the pictures floating on the internet from Veere Di Wedding promotional events, it looks like Kareena Kapoor Khan has made a comeback to remember with the film! Can Zimbabwe batsmen back their bowlers to end losing streak?